Los Angeles (AP) – “The Incredibles” writer/director Brad Bird has said that his characters’ powers are all born of stereotypes. Dad is strong, mom is stretched in a million directions, teenage girls put up shields, little boys are full of boundless energy and babies are unpredictable. It’s why he decided that for the sequel, “Incredibles 2 ,” a buoyant and quick-witted romp, he’d pick up right where we left off, in that parking lot after Dash’s track meet where a new threat emerges from underground. No matter that in reality, 14 years had actually passed. Animation is not bound by time or aging actors. 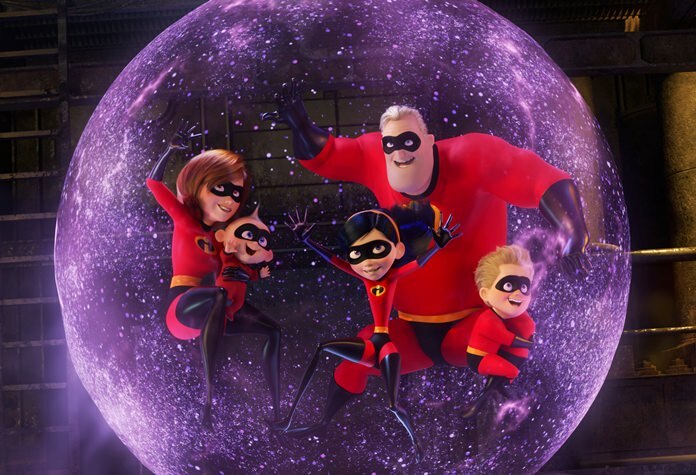 “Incredibles 2,” a Walt Disney Pictures release, is rated PG by the Motion Picture Association of America for “action sequences and some brief mild language.” Running time: 118 minutes. Three stars out of four.